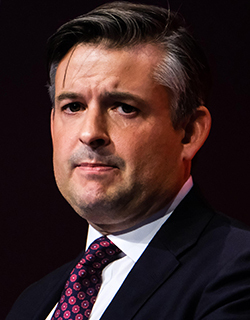 Shadow health secretary Jon Ashworth has reiterated Labour’s pledge to reinstate the nursing student bursary, though health and care secretary Jeremy Hunt says degree apprenticeships offer those who cannot afford tuition fees an alternative route into nursing. Mr Ashworth told Nursing Standard podcast that if Labour wins office he remains committed to reinstating the bursary, which was replaced by tuition fees and loans last September. 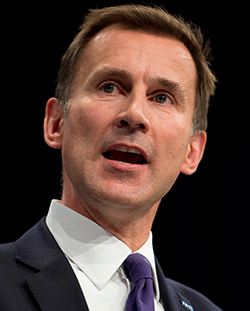 Mr Hunt reiterated in the House of Commons on Tuesday that degree apprenticeships offered those who could not afford tuition fees an alternative route into nursing. Labour MPs had challenged Mr Hunt during a ‘routes into nursing’ debate. The number of applicants to nursing courses has fallen by 33% since the bursary was axed in favour of tuition fees. The government said ending the bursary would allow more nurses to be trained, as numbers would not be capped. But figures from the Universities and Colleges Admissions Service show the number of people studying to be nurses fell after reaching an all-time high in 2016, when the bursary was still in place. Ellesmere Port and Neston MP Justin Madders said: ‘The secretary of state claimed the removal of the bursary would fund 10,000 extra training places, but the first 5,000 will start only this autumn, and the nurses will qualify only in 2021. RCN director of nursing, policy and practice Donna Kinnair said: ‘The truth is that the new nursing apprenticeship attracted just 30 trainees last year – there are 40,000 nursing vacancies in England alone and this figure continues to rise. Apprenticeship schemes will never be enough to arrest the devastating shortage of registered nurses, and a nursing degree is still the fastest and safest route into the profession.